Under California Penal Code Section 476, it is a criminal offense to fraudulently create, write, pass or possess a fake or forged check with the intent of obtaining something of value in exchange for this check. This is a crime broadly referred to as Check Fraud or PC 476 . To prove Check Fraud under California Penal Code § 476, a prosecutor must be able to establish that a person made a check, passed or possessed, or attempted to make, pass or possess, a check that was not legal. 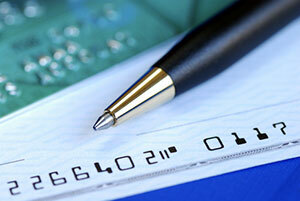 This includes a fake or altered check with the knowledge that the check was fake or altered. The prosecution must also prove that the person intended to defraud another party by misrepresenting the check as genuine or belonging to them. This offense applies to both fake checks that involve completely fake accounts, persons, or banks as well as to altered checks in which something on a genuine check has been fraudulently changed. This could be an amount, a routing number, a date, or changing the “payee” of the check. Check Fraud under California Penal Code Section 476 is was usually a filed as a felony. However, in many cases early intervention by a skilled defense attorney could result in the case being filed a misdemeanor. This crime is a “wobbler,” which in California means that it can be filed by a prosecutor as either a felony or a misdemeanor. Prosecutors typically look at the facts and circumstances of each case when making these types of charging decisions, as well as the defendant’s criminal history. There are many defenses to a charge of Check Fraud under California Penal Code § 476. Often people possess or attempt to pass fake checks without even knowing it. This may occur when they are paid in a fake check and then try to cash it in at the bank. Obviously, since the statute requires an intent to defraud, a true lack of knowledge would negate criminal liability (but keep in mind that prosecutors and/or law enforcement are particularly mindful of situations where people “should have known” about a check’s look fake or come from a known their and are simply claiming ignorance. Additionally, consent to alter the check in question can be a defense to an accusation of Check Fraud. For example, if the both parties to a check (the payor and payee) agree to alter terms on the check such as date or name, this would not violate the law. Another section of the California Penal Code, Section 476a, deals specifically with writing “bad checks;” checks written knowingly with insufficient funds. This offense is also a “wobbler” that can be charged as a misdemeanor or felony. The offense of Check Fraud often overlaps with related offenses such as credit card fraud and other general California theft offenses. If you are charged with Check Fraud or passing bad checks under California Penal Code Section 476 or 476a, you need a skilled defense attorney who is knowledgeable about this particular area of the law. As a former deputy district attorney, Michael Kraut has unique experience in handling cases of this nature, as he charged and prosecuted cases of this nature for the County of Los Angeles for over 14 years. For more information about Check Fraud charges, and to schedule your free consultation, contact Los Angeles Check Fraud Attorney Michael Kraut at the Kraut Law Group. Mr. Kraut can be reached 24/7 at 888-334-6344 or 323-464-6453.